force for a variety of spring lengths. 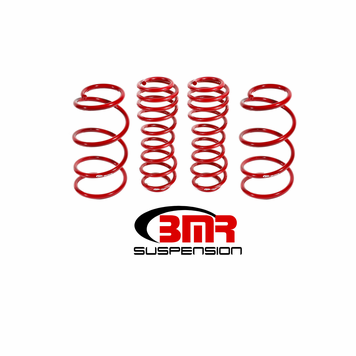 are a must, rely on BMR Suspension! companies simply because they don't realize it's benefits in multi-purpose applications. lasting good looks. 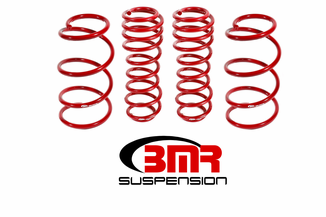 Proudly made in the U.S.A.
By nature, a panhard rod will alter rear end position as ride height changes. This makes it necessary to use an adjustable panhard rod when lowering your vehicle as it allows you to re-center the rear end. Adjustable panhard rods also become a "must-have" part if you are trying to fit the widest tires possible in the wheel well. Available in Black Hammertone.